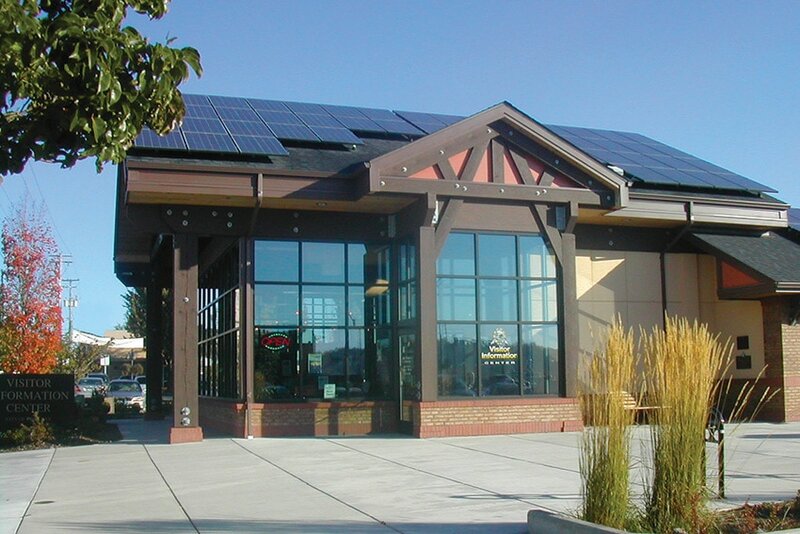 Incorporating energy-efficient and renewable energy strategies was a no-brainer when the City of Coos Bay set out to build a new 3,600-square-foot visitor information center. A high-performance design would reduce energy costs, help conserve natural resources and demonstrate environmental leadership to visitors and citizens. The city worked with Energy Trust to determine the equipment and systems to meet its energy-efficiency goals and maximize savings. As a result, the Visitor Information Center includes energy-efficient lighting, a high-efficiency condensing furnace, demand control ventilation and a tankless water heater. The city also received $26,953 in Energy Trust incentives for a 15.58 kilowatt solar electric array that generates an estimated 19,238 kilowatt hours of electricity annually.